Marc J. Dunkelman is a Marron Fellow at NYU’s Marron Institute of Urban Management where his research focuses on the challenge of developing public infrastructure. 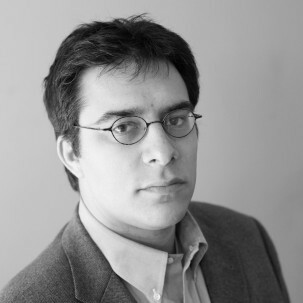 He is also a visiting fellow at Brown University’s Taubman Center for Public Policy and American Institutions, where his scholarship focuses on how the evolving architecture of American community has affected the workings of government, the dynamism of the American economy, and the resilience of the American social safety net. In 2014, W.W. Norton published Dunkelman’s first book, The Vanishing Neighbor: The Transformation of American Community. During more than a dozen years working in Washington, DC, Dunkelman served on the staff of the Senate Judiciary Committee, as legislative director and chief of staff to a member of New York City’s delegation to the House of Representatives, and as the vice president for strategy and communications at the Democratic Leadership Council. He has also been a senior fellow at the Clinton Foundation, a visiting fellow at the Bipartisan Policy Center and a fellow at the Johns Hopkins University Center for Advanced Governmental Studies.